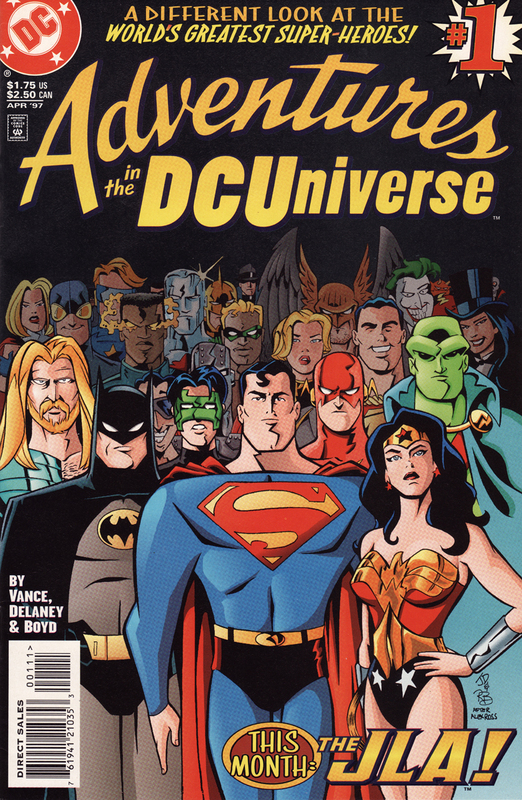 The Justice League movie hits theaters this Friday, November 17th, so I decided to do a week of posts related to DC Comics. There is a schedule for the week at the bottom of this post and Batman will be leading the way since he is my favorite comic book character. 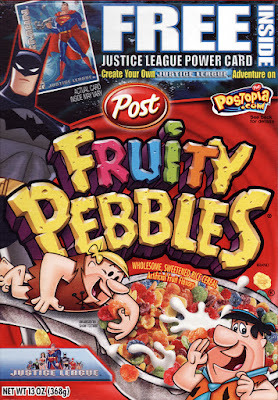 Most kids are fans of comic book characters and I was no exception, and really, I still am a fan. However, I don't have a lot of comic book action figures from the '80s, probably because I got into Star Wars and G.I. Joe toys during that time. I do have a variety of super hero stuff though, most of it being from the '70s, and then I started collecting a lot of Batman things in the '90s. As I write this I've got three videos and blog posts ready to go so including this post there will be at least four this week. I'm trying to repair an electronics toy that has content featuring DC characters. If I don't fix it then there won't be a video but I may scan many of the DC items for it since they are fun to look at. 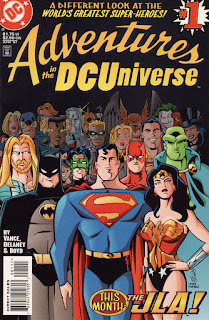 Today's post is just some random items that either didn't fit in with the remaining week's posts or have both Batman and Superman who will appear on separate days later this week so I grouped the cross-overs here. 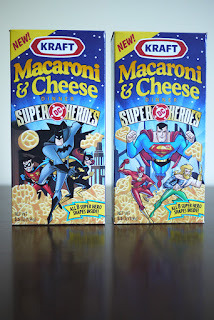 The first item up is the highlight of the post as the remaining things consist of two not-so-old food products promoting DC characters and the last photo contains some limited edition action figures. 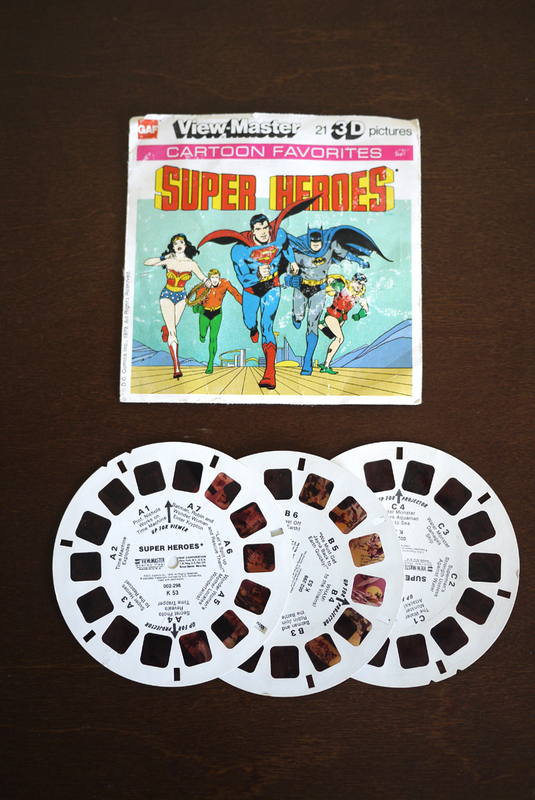 This first one is a View-Master Cartoon Favorites Super Heroes package with three reels from 1979. 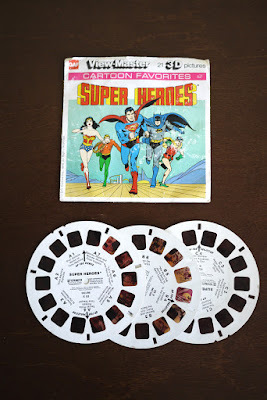 I've got a good variety of View-Master reels from my childhood and my first View-Master toy, as well as a more recent PlayStation branded one. It's a great little device that is still made today. When Professor Nichols' time machine explodes, the Wondertwins, Zan and Jayna, are blown to separate planets. 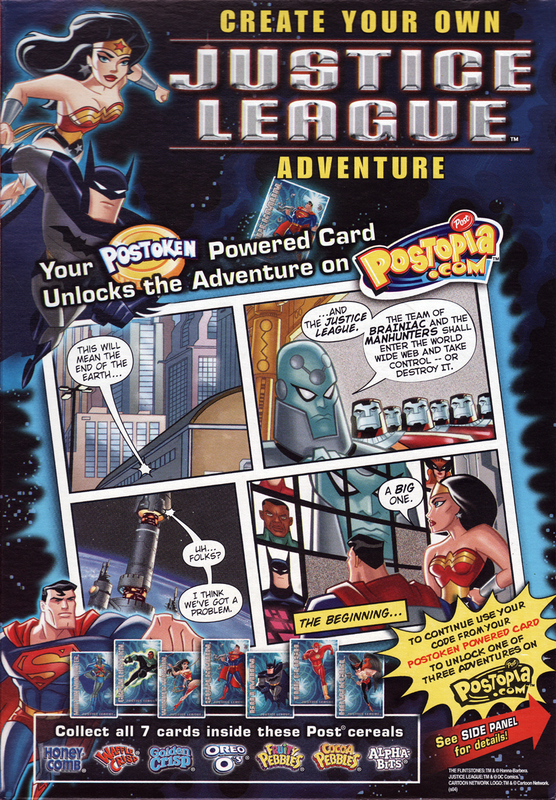 Wonder Woman, Batman and Robin blast-off for one planet. Superman and Aquaman combine their strengths on another. 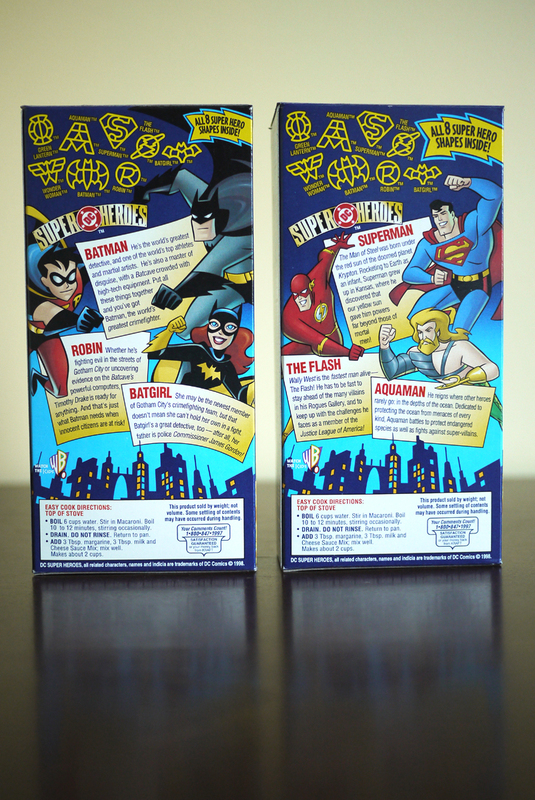 Will the Super Heroes find the Wondertwins? Exciting suspense for all Super Hero fans! 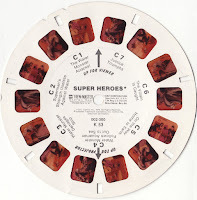 I've scanned the reels as well to provide a close-up and the above story bit should make it easier to follow. 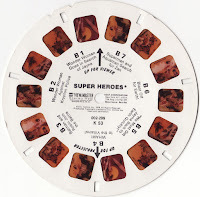 Every reel contains two of each image as one would appear for each eye when being viewed inside the toy. Also, the scans are large and I'm not sure if Blogger will display them at the full size so you might have to open each one in a separate window if you want to get the best view. 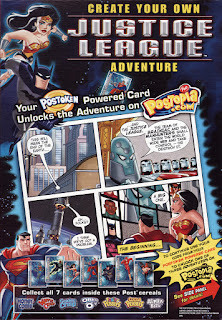 Second is a Fruity Pebbles box (2003) with a Justice League Power Card promotion. I'm sure I have the trading card somewhere but unfortunately cannot currently locate it or I would have included it with the images. I did eat the cereal when I got it so the box is empty. 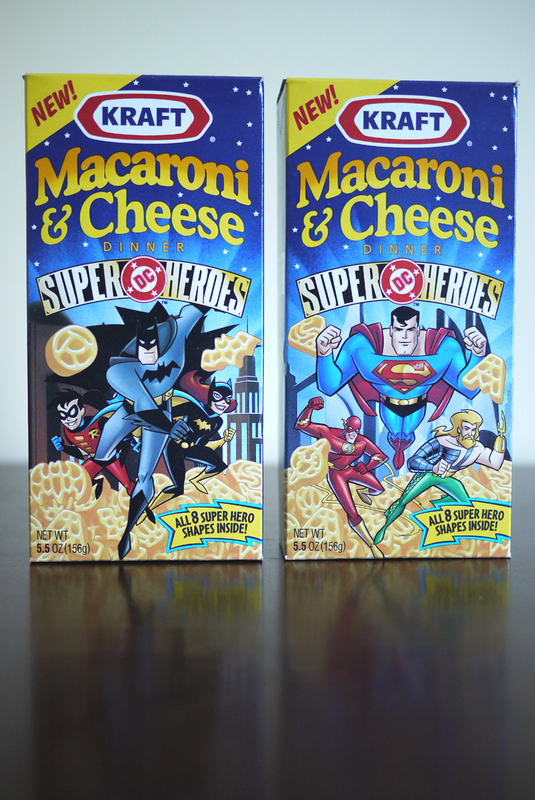 Third is Kraft's Macaroni & Cheese DC Super Heroes boxes (1998) featuring hero-related macaroni shapes. 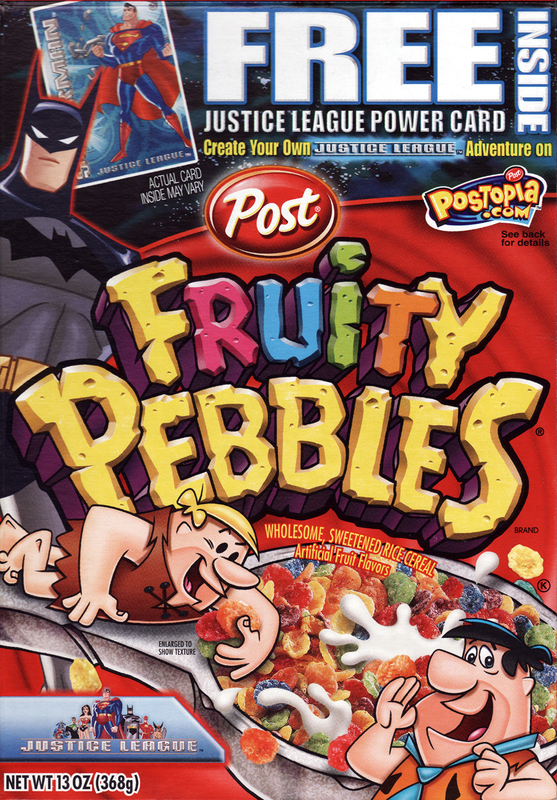 One is predominantly Batman while the other has multiple Justice League characters with Superman front and center. 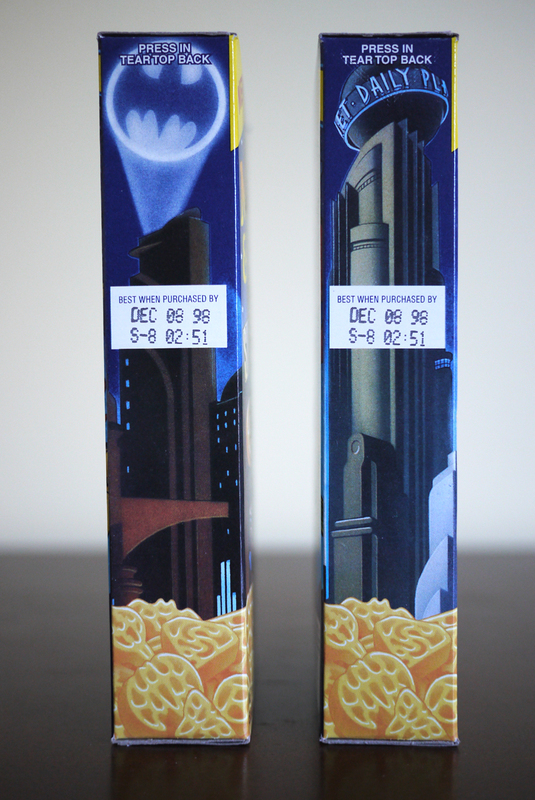 These are still sealed with the food inside because sometimes I took collecting too seriously! 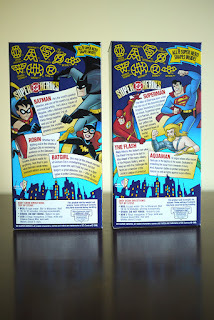 Last are two action figures that were mail-away offers from Wizard and Toyfare magazines. 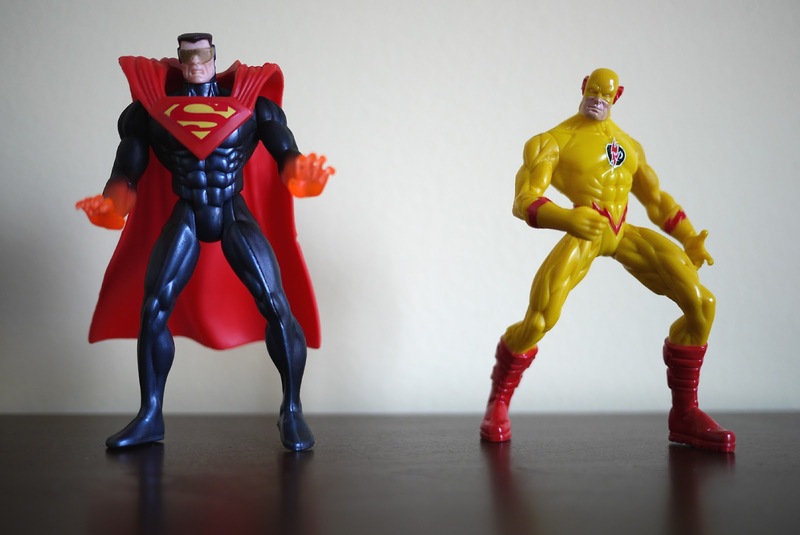 On the left is the Superman-like Eradicator that was offered in a Wizard special edition JLA magazine from 1998. 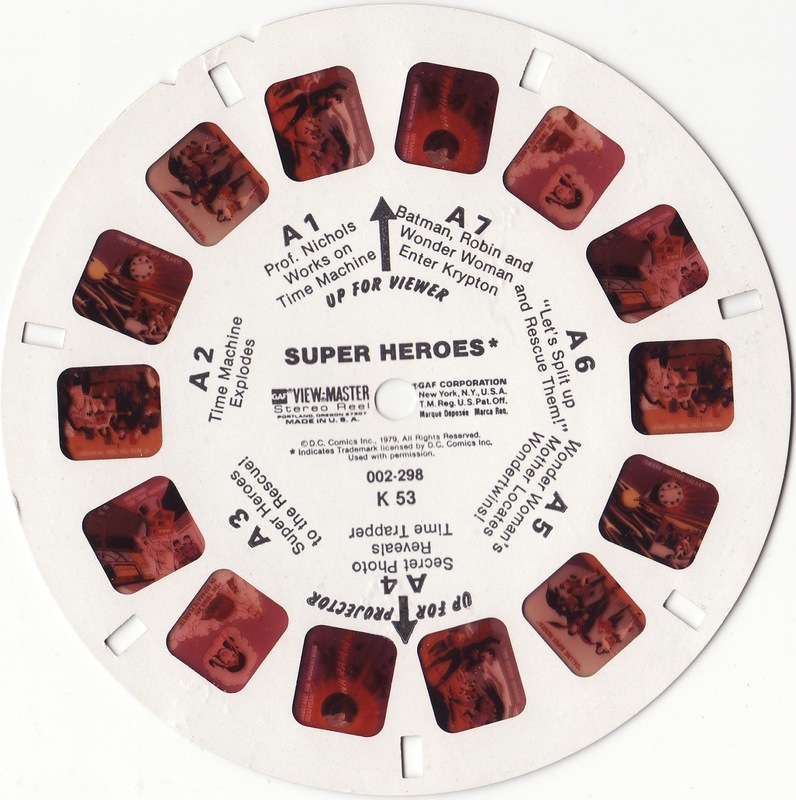 On the right is Reverse-Flash that could be ordered using a form in Toyfare Issue #11 (July 1998). 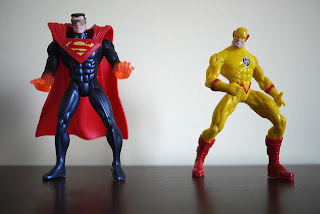 I'd say Eradicator, who has a removable cape, is a higher quality figure. Reverse-Flash is very difficult to get to stand up on its own.